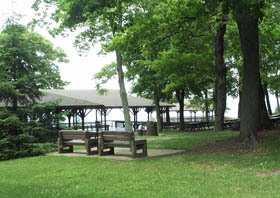 Pen Mar Park is one of the best-kept secrets in Washington County. With beautiful views and Live music on Sunday afternoons, it is a great place to relax and enjoy life. Please be sure to check out the pictures from Pen Mar Park from the summer of 2007 to 2014. You can always count on cool breezes no matter how hot & humid the "city" temperatures are. Families travel from great distances to Pen Mar to appreciate all it has to offer.